Operation Stonegarden, a program run by the U.S. Department of Homeland Security, provides funding for localities to secure U.S. borders from terrorism threats. Jefferson, Clinton, Franklin and St. Lawrence counties all received funding under the program. The amount is split between the four counties with Jefferson County receiving $1.63 million, Franklin County with $1.47 million, Clinton County with $330,000 and St. Lawrence County with $280,000. Operation Stonegarden focuses on enhancing law enforcement preparedness and operational readiness along U.S. land borders by providing grants to designated localities to enhance cooperation and coordination among federal, state, tribal and local law enforcement agencies. No word when the wall goes up. The village of Jay, with its picturesque New England style village green and quaint covered bridge, transforms itself Saturday, July 26th into a town wide artist’s colony open to the public. Over the years, this very unique community has become a haven for the creative spirit. With it’s astonishing views, good studio spaces, and welcoming and tolerant philosophy, artists and crafts people have found a nurturing and supportive home in this village among the High Peaks. For one day, July 26th from 10 to 6 PM, 12 of Jay’s studios will be open to the public. The tour is organized to follow a map that winds from village to farmland and mountaintop and showcases Jay’s physical beauty as well as the talents of her residents. At Young’s Gallery, Sue Young will be demonstrating raku at 11 and 3 o’clock. Raku is a Japanese firing technique that was “Americanized” in the 1950s to produce glazes with a lustrous appearance. Terry Young will be making paper using plant materials from his garden and cotton linters. Terry will also be hand binding his book “Twenty Ways to See Whiteface” in the afternoon. There will be ample opportunity to engage both artists in a discussion of their work and technique. The gallery also features work by both Sue (traditional pottery) and Terry (paintings and clay sculpture) as well as many other North Country artists. Next door to the theater is the Village Green Gallery, a one-day collaborative Gallery effort by photographer Nadine McLaughlin, Philadelphia ceramicist Joan Marie Turbeck and painter Joan Turbek. Nadine’s sensitive photos of local landscapes and animals are currently the featured exhibit in the Amos and Julia Ward Theatre next to the Gallery. She will be showcasing her books of original poetry, cards, and prints in both venues. Joan Turbek’s illustrative watercolors will be shown and Joan Marie Turbek will contribute several pieces of clay sculpture highlighting her whimsical and provocative take on vegetables. The Jay Craft Center, home, studio and craft shop of Lee Kazanis and Cheri Cross, will introduce guest potter Julia Geronski. Julia will be demonstrating wheel throwing and press molding techniques. Opening his studio for the second year will be Bill Evans. Located on Rt 9, the building which houses both Bill’s gallery space and living area has been in renovation since 2006. Bill’s landscapes of the Adirondacks are well known and highly respected; he has work hanging at The Birch Store and Skylight Gallery in Keene Valley. Bill will be showing primarily oil landscapes-many of local scenes. This is a unique opportunity for a once a year look into the creative process. Buttons Buttons is a working design studio producing pillows and decorative items made from vintage and antique textiles and buttons. Designer Barbara Smith will be introducing her line of evening bags created from a special collection of rare and unusual antique materials. This year, the studio tour will feature the grand opening of “Ben Lacy’s Cabin”-a handmade one room 1920’s cabin. Moved from Lacy Road in Keene and reconstructed in Jay, it houses the Buttons Buttons showroom for the Adirondack Collection of pillows. Grace Pothast at Gallery in the Glen will be demonstrating watercolor and egg tempera in the converted milk house of the dairy farm she shares with her family. Grace will also feature a special children’s studio where the youngsters can create their own work of art. Nearly at the top of the Jay Mt. Road you will find W.P. ‘Pete’ Jennerjahn’s studio. Pete will discuss and illustrate the differences and similarities between the various mediums: graphite, watercolor, pastels, oils and acrylic. It is a breath-taking location and a chance to see a large body of work representing a lifetime of experience. Located on the Trumbull’s Corner Road in one of Jay’s most interesting homes is Swallowtail Studio where Wayne Ignatuck designs and builds furniture. Wayne recently completed a collaboration with architect David Childs. The child’s desk they built is being shown at the Adirondack Museum in Blue Mountain Lake. Recently, Wayne has been expanding the definition of rustic furniture. Work presently in the studio will include furniture custom designed for the newly rebuilt Lake Placid Lodge. Paul’s Café at Standard Falls Iris Garden will feature a special day of baker Nancy Garrand’s Chocolate Extravaganza: every and anything chocolate. The café has become the home of the Land of Makebelieve artifacts and mementoes. Nationally recognized photographer Nathan Farb rounds out the Studio Tour this year. 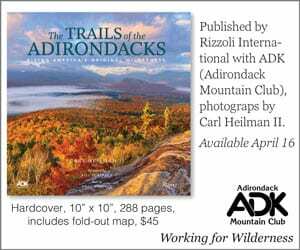 Nathan’s books include “The Adirondacks”, “100 Years of the Adirondacks”, and “Adirondack Wilderness”. He will be previewing another book entitled “Summer of Love’, and showing excerpts from a video project from Arkansas that he has been working on. The studio is handicapped accessible and will be American Sign Language interpreted. Nathan will be available to sign his books and discuss his photography. 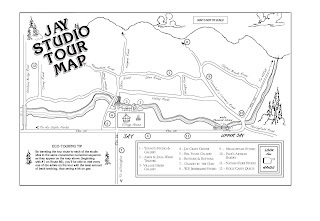 The Tour Map is available at all of the tour locations, many businesses in the area and for download at the tour website: Jaystudiotour.com. 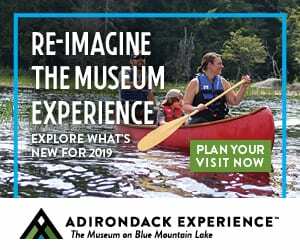 The Lake Placid Center for the Arts and the Adirondack Museum have organized an evening of bluegrass headlined by the Larry Stephenson Band at 7:00 p.m. on Friday, August 1st at the Lake Placid Center for the Arts. The concert will open with the Albany Region’s Dyer Switch Band. 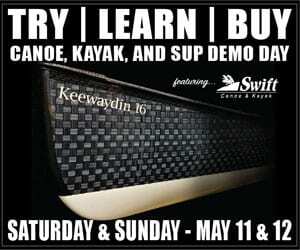 Tickets are $15 and proceeds will benefit the Adirondack Museum and the Lake Placid Center for the Arts. Beginning his musical career in his early teens, Larry Stephenson honed his talents playing mandolin and singing high lead and tenor while residing in his home state of Virginia. In the early 1990’s, when increasing opportunities for appearances on national television made it advantageous to relocate to the epicenter of the country and bluegrass music industries, he relocated to Nashville. From this base he now continues to make guest appearances at the legendary Grand Ole Opry as well as on Nashville-based TV productions. Contrary to the norm on ‘music row’ in Nashville, where artists’ record label affiliations are often notoriously short-lived, Larry continues to record for one of the country’s preeminent independent record companies. 2008 marks his 19th anniversary of making records for the highly respected Pinecastle label. Stephenson’s distinctive, crystal clear voice towers over the band vocals, delivering a strong message, whether in an old folk song, a ‘brush arbor’ gospel quartet or one of his many top ten trios that have graced the national bluegrass song charts. Larry Stephenson remains one of the few artists whose solidly tradition-based, contemporary interpretations of the music keeps him on the cutting edge of the bluegrass charts. This multi-award winning group has gained the respect over the years of first generation legends such as, Jimmy Martin, Mac Wiseman, Jim & Jesse, The Osborne Brothers and others. Stephenson is an inductee in the Virginia Country Music Hall of Fame, and a four-time winner of the “Contemporary Male Vocalist Award” at the prestigious SPBGMA (Society for the Preservation of Bluegrass Music in America) Convention. In 2004 the band clinched the “Song of the Year Award” at the same convention, with the title track “Clinch Mountain Mystery.” The same CD stayed on the bluegrass charts for one solid year, debuting at #18 and staying in the top 5 for seven months, then hitting #1 in December 2004.
nominated for “Song of the Year” by the Northeast CMA. Dyer Switch has received considerable air play in North America and Europe, and a song that band member JoAnn Sifo wrote was number one on the European country charts. The band has been has been featured on Northeast Public Radio, and in 1997 opened for Ralph Stanley at a concert in upstate New York. This versatile and engaging band with dynamic stage presence has captivated audiences throughout the Northeast, Midwest, and South at festivals, clubs, coffeehouses, fairs and live radio shows. The band brings together hard-driving renditions of traditional tunes from first-generation bluegrass giants like Bill Monroe and Ralph Stanley, their own powerful originals and fresh and innovative versions of songs from other genres. Purchase your tickets today for an Evening of Bluegrass at the Lake Placid Center for the Arts by calling 518.523.2512. Tickets are $15, and we do anticipate that this show will sell-out. 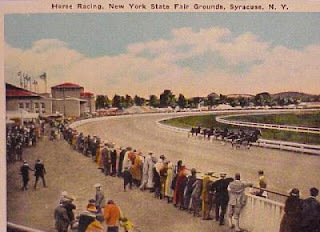 For additional information visit online at www.LakePlacidArts.org or http://www.adirondackmuseum.org. To learn more about the artists, visit: www.larrystephensonband.com or www.dyerswitch.com. Adirondack Mountain Club officials called on the working group to expand the St. Regis Canoe Area (recently named one of Adirondack Almanack’s 7 Natural Wonders of the Adirondacks) to include 13 interconnecting ponds directly south of the St. Regis and west of Upper Saranac Lake. These would include Follensby Clear, Rollins, Floodwood, Polliwog, Little Square and Whey ponds. 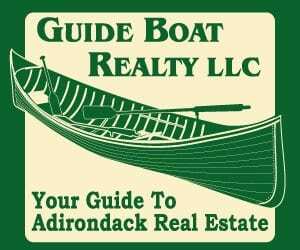 They also supported an Adirondack Explorer proposal that the area should remain open to boats with electric motors, with a 5 mph speed limit. Explorer’s proposal also states that “Pre-existing landowners would be exempted,” which wasn’t mentioned in the ADK plan. All told, the 13 ponds have a total surface area of 3 square miles. Last month, state Department Environmental Conservation Commissioner Grannis and Adirondack Park Agency (APA) Chairman Curt Stiles announced the formation of an interagency “Quiet Waters Working Group for the Adirondack Park.” The working group will evaluate lakes, ponds and rivers in the Park for potential designation as “quiet water,” meaning that motorized craft would be prohibited. 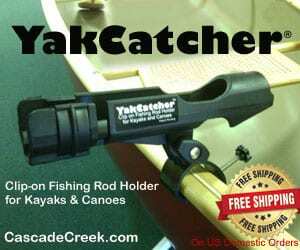 There has been a decade of new quiet water access purchased by the state with constant loss of motor boating waters. Now we hear of a committee being formed because ‘there are too few paddling opportunities.’ The state, now running out of lands to buy and reclassify as wilderness, intends to regulate motors off waters used by residents and sportsmen for generations. The ADK also called on the Quiet Waters Working Group to study the economic impacts of any Quiet Waters initiatives. Woodworth said the Working Group should also study possible motor restrictions or speed limits on Adirondack rivers, such as the Raquette, Jordan and Osgood. 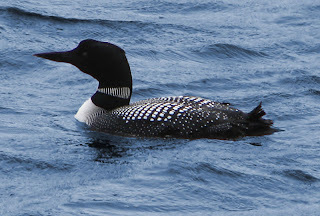 High-speed boats operating close to shore create wakes that disrupt nesting loons and inhibit their ability to reproduce. The Working Group should also consider economic incentives to encourage motorboat owners to switch from loud, dirty two-stroke engines to four-stroke engines. 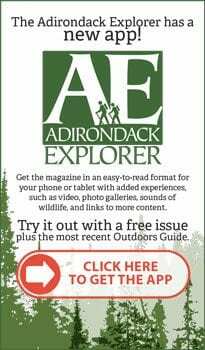 The ADK also argues that the argument that there are thousands of lakes and ponds, covering hundreds of square miles, that are open to quiet paddling and that many lakes and ponds are inaccessible because they have been “locked up” in wilderness areas., is false. The DEC has cataloged more than 3,600 lakes and ponds in the park, but nearly half are less than 5 acres and three-quarters have less than a mile of shoreline. When private and public water bodies are taken into account, about 90 percent of the park’s lake surface area is open to motorboats. 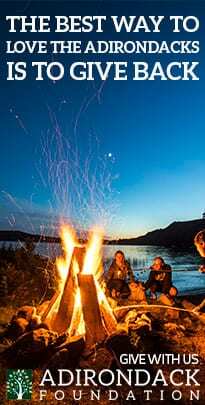 Although wilderness accounts for 17.5 percent of the total area of the Adirondack Park, wilderness ponds cover only about 12,000 acres, less than 4 percent of the park’s total. UPDATE: Anne LaBastille died July 1, 2011 at a nursing home in Plattsburgh. You can read a full obituary and review of her life as an important environmentalist in Central America and in the Adirondacks here. From the Jay Community News comes a note that Woodswoman author Anne LaBastille can no longer care for her animals. Her dog Krispy is living happily with a friend, but her two cats Chunita and Winston are being held in the Adirondack Veterinary Hospital. Both cats have been indoor/outdoor cats. They were adopted by Anne as strays so their exact ages are not known, but they are believed to be 6 or 7 for Chunita, female, and 4 or 5 for Winston, male. Don’t contact me – but if you have a home for these two cats – contact the Adirondack Veterinary Hospital in Westport at (518) 962-4311. The 2008 Conservationist of the Year award was Presented at by the Adirondack Council at the Silver Bay Association in Hague on Saturday. McKibben is the 24th annual winner of the honor, which includes the gift of a hand-carved loon. Recent winners of the award have included The Wildlife Conservation Society (2007), Congressman Sherwood Boehlert (2006), Lake George Waterkeeper Chris Navitsky (2005), and the Open Space Institute (2004). Past winners include NY Governors Pataki and Cuomo, and NY Times editor John Oakes. » Continue Reading. On July 5, 1870, the New York Daily Tribune reported that “nature tourists” were flooding to the Adirondack Mountains. “Last summer, Mr. Murray’s book drew a throng of pleasure-seekers into the lake region,” the paper noted. “Mr. Murray” was the Reverend William H.H. 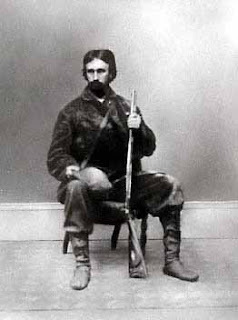 Murray, a New England clergyman, author of Adventures in the Wilderness: or Camp-life in the Adirondacks, and one of the all-time most passionate boosters of the outdoor life in the North Country. 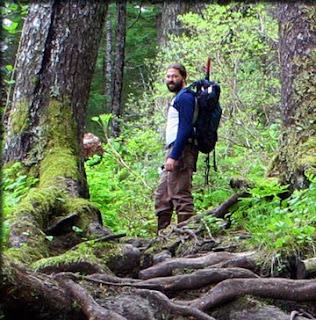 On Monday, July 21, 2008, Dr. Terrance Young will offer an illustrated program entitled “Into the Wild: William H.H. Murray and the Beginning of Camping in America” at the Adirondack Museum at Blue Mountain Lake, New York. Part of the museum’s Monday Evening Lecture series, the illustrated presentation will be held in the museum’s auditorium at 7:30 p.m. There is no charge for museum members. Admission is $4.00 for non-members. Dr. Young will explain how Reverend Murray’s book was the first to present Adirondack camping as a form of pilgrimage to wild nature. Every tourist and would-be camper who came to the Adirondacks in the summers of 1869 and 1870 had a copy of Adventures in the Wilderness tucked into his carpetbag, rucksack, or bundle. The result was the transformation of this previously remote and quiet region into an accessible, bustling destination. Young is an Associate Professor of Geography at the California State Polytechnic University in Pomona, Ca. He teaches and writes about the historical geography of American recreation, and its relationship to the natural environment. He is the author of Building San Francisco’s Parks, 1850 – 1930, a book about the city’s municipal park system. Dr. Young is currently working on a book about the history and meaning of American recreational camping entitled Heading Out: American Camping Since 1869. Local fairs start this week, so here is a full list of Adirondack County Fairs, listed according to opening date. I’ve included a few of the most important regional fairs as well. Enjoy! 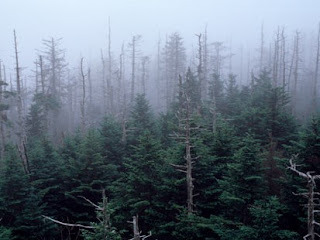 The US Court of Appeals for the District of Columbia [Friday] struck down a crucial component of the federal government’s rules that were designed to curb the Midwestern air pollution that damages Northeastern forests and lakes and causes lung disease. 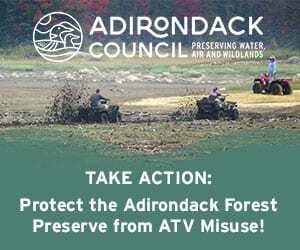 “By striking down the Clean Air Interstate Rule, the US Court of Appeals has left all of the Northeastern states vulnerable to acid rain and fine particles of smoke that damage people’s lungs,” said Scott Lorey, Director of Government Relations for the Adirondack Council, a national leader in the fight against acid rain. “CAIR was our only hope that significant reductions would be made over the next decade in the Midwestern smokestack pollution that has killed our forests and fish, tainted our drinking water and poisoned our food and wildlife with mercury. Now the rule is gone – struck from the books. 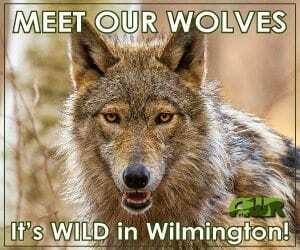 We need quick action from the US Environmental Protection Agency to reissue the rule. Failing that, Congress must act right away to pass a bill that would require similar, or deeper, cuts in smokestack pollution. » Continue Reading. 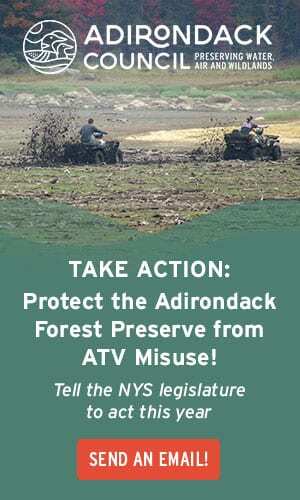 The fact is that the NON-Residents Committee to “Protect” the Adirondacks and the Adirondack Council do not speak for all New Yorkers and in fact, they speak for damn few real Adirondackers (those of us that live and work here.) Elitist such as Sheehan, Beamish and Bauer are nothing more than professional lobbyists who peddle misinformation to advance their extremist Enviro-Nazi agendas at the cost of our Adirondack communities. Their claims of supporting “healthy Adirondack communities” are hypocritical beyond belief and APA & DEC need to stop giving their whines so much weight. 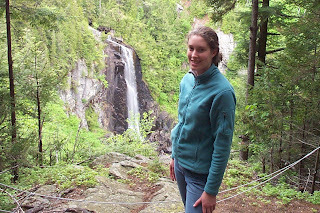 From the Keene Valley the Adirondack Chapter of The Nature Conservancy and the Adirondack Land Trust have recently announced the hiring of summer intern Meghan Johnstone of Saranac Lake. An Adirondack native, Johnstone graduated from Saranac Lake High School in 2006. She just finished her sophomore year at the SUNY College of Environmental Science and Forestry where she majors in Environmental Studies with a concentration in Environmental Communication and Culture. “Growing up in the Adirondacks has given me a deep appreciation for the environment. Now I’m working with a highly respected organization helping to protect the place that I know and love,” Johnstone recently said (that’s her at top left on a visit to recently purchased OK Slip Falls). It’s statements like those that show local anti-environmentalist like Dave Scranton for what they really are – hate mongers with a political agenda. 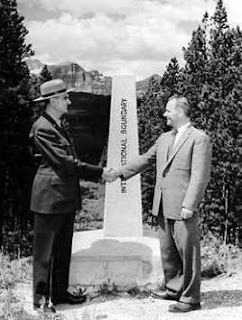 The internship Johnstone is pursuing this summer was established in part by Clarence Petty (now there’s an “enviro-nazi” for ya!) 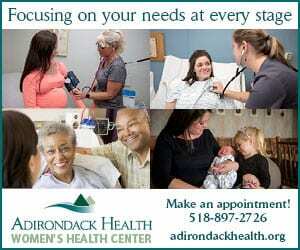 – who probably has a few more years of “real” Adirondack living than the so-called Adirondack Citizen does. And what is Meghan Johnstone’s primary goal this summer? 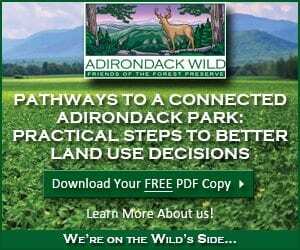 It’s to work with the Conservancy’s director of communications starting with improving the pages relating to the recent purchases of ecologically and economically significant lands in the heart of the Adirondacks. Nature Conservancy interns like Johnstone – raised in our own backyard – are gaining the practical skills to help equip them to address environmental challenges and public threats from folks like Adirodnack Citizen. Money is being raised for an endowment to ensure funds are available well into the future to keep this program going. Everyone who deplores the divisive and hate-filled attitudes of some of our neighbors should contribute. It’s time some of the folks around us stop trying to turn the rest of us into public enemies – donating to the fund is an appropriate way to send a message that those of us who live here are determined to protect our way of life, which includes protections for our surroundings and the economic opportunities our environment affords us. 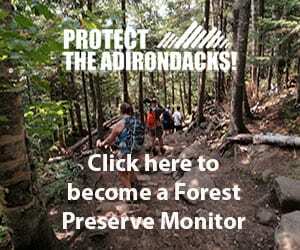 “Friends in Conservation,” a ten-minute video about the Adirondack Conservation Internship Program, featuring Barbara Glaser and Clarence Petty, is available by contacting Connie Prickett at 518-576-2082 x162 or cprickett@tnc.org. The Nature Conservancy is a leading international, non-profit organization working to protect ecologically important lands and waters for nature and people. Since 1971, the Adirondack Chapter has been working with a variety of partners in the Adirondacks to achieve a broad range of conservation results. 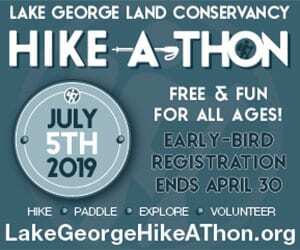 The Chapter is a founding partner of the High Peaks Summit Stewardship Program, dedicated to the protection of alpine habitat, as well as the award-winning Adirondack Park Invasive Plant Program, which works regionally to prevent the introduction and spread of non-native invasive plants. The Adirondack Land Trust, established in 1984, protects open space, working farms and forests, undeveloped shoreline, scenic vistas, and other lands contributing to the quality of life of Adirondack residents. The Land Trust holds 45 conservation easements on 11,174 acres of privately-owned lands throughout the Adirondack Park, including 15 working farms in the Champlain Valley. Together, these partners in Adirondack conservation have protected 556,572 acres, one out of every six protected acres park-wide. On the Web at nature.org/adirondacks. Electric motors that could be used for marine application had been invented by William Woodnut Griscom of Philadelphia in 1879, and in 1880 he started the Electric Dynamic Company. In 1892 Griscom’s electrical company went bankrupt, and Electric Dynamic Company was bought by Isaac Leopold Rice who founded Electric Storage Battery Company (“Exide”). Rice had become interested in Electric Launch Company; they had been buying his storage batteries. He also was interested in Holland Torpedo Boat Company. He purchased the latter and merged it, along with Elco, into the Electric Boat Company in 1899. In 1900, Elco, which had previously acted as middleman by farming out the hull contracts and installing Griscom’s motors and Rice’s batteries, built its own boat-building facility at Bayonne, NJ. Join Charles Houghton, former president of the Electric Launch Company will present a program entitled “Batteries Included: The History, Present, and Future of Electric Boating” at the Adirondack Museum at Blue Mountain Lake that will be presented this Monday, July 14, 2008 in the Auditorium at 7:30 p.m. The company provided 55 electric launches for the 1893 World’s Columbian Exposition in Chicago to ferry sightseers over the fair’s canals and lagoons. Elco shifted to gasoline engines by 1910 and had a long life building military and some of the first widely produced pleasure boats. During World War One, the company built 550 sub chasers for the British navy. In 1921 they introduced the popular and (reasonably) affordable 26-foot Cruisette, a gas engine cabin cruiser. During World War Two Elco developed the the PT Boat, an 80-foot torpedo boat with a Packard aircraft engine. At the end of the war, the company merged with Electric Boat of Groton, CT to form the nucleus of General Dynamics. By 1949, General Dynamics’ CEO thought he could make more money by building military craft and Elco’s workers were fired, the shipyard in Bayonne, New Jersey and all its equipment was sold. The company was re-incorporated in 1987 but didn’t shift into electric boats again until 1996 the year Monday’s speaker, Charles Houghton, became company president. Under his direction the company began building electric motor boats and electric drives for boats and sailboats. The Annual Loon Census provides valuable data for the Loon Program to follow trends in New York’s summer loon population over time. Hundreds of residents and visitors throughout New York assist them each year by looking for loons on their favorite lake or river. » Continue Reading. According to a media release we received last week, the SUNY College of Environmental Science & Forestry’s (ESF) Adirondack Ecological Center (AEC) and the Adirondack Park Agency Visitor Interpretive Center (VIC) in Newcomb will feature a presentation on climate change during the Huntington Lecture Series at 7 p.m. this Thursday, July 10th at the Newcomb VIC. Beier will demonstrate that the impacts of climate change in the far north are much more than disappearing sea ice; the boreal forests are changing dramatically, due to increased fire, insect outbreaks and tree diebacks. These are all are linked to climatic changes in the last century. » Continue Reading. 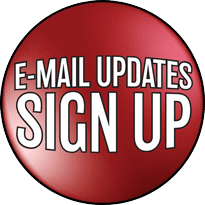 Adirondack Almanack gets a lot of requests to link to new blogs and nearly all of them we turn down because they don’t have anything to do with the Adirondacks. By the way, our criteria for inclusion as an Adirondack blog is simple – it should be written in or about the Adirondacks. 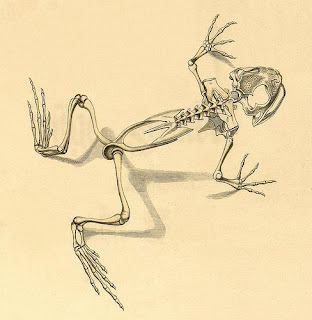 A new blog from Andy Flynn promises both. , with volumes 1-5 in stores now. 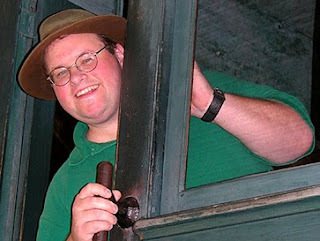 He owns/operates Hungry Bear Publishing and lives in Saranac Lake, N.Y. During the day, he is the Senior Public Information Specialist at the NYS Adirondack Park Agency Visitor Interpretive Center in Paul Smiths. In this case, I contacted the Adirondack Museum to see if they were interested in saving this schoolhouse, No. 11, in Clinton County. Not really. You see, they already have a one-room schoolhouse, the Reising Schoolhouse, built in 1907 in the Herkimer County town of Ohio. The Reising Schoolhouse was located in the extreme southern part of the Adirondack Park. The Ellenburg Center schoolhouse is located in the extreme northern part of the Adirondack Park. The Adirondack Museum’s chief curator suggested I call Adirondack Architectural Heritage (AARCH) in Keeseville, which I did. The director and I spoke about the situation and agreed it would be a good idea to see the structure first. If anyone can help with saving an historic building in the Adirondack Park, it is AARCH. So, that’s where we are. If there is any way to help, we’ll try to make it happen. Maybe we’ll get lucky and find someone in the Adirondack region, hopefully in Clinton County, who can help preserve this one-room schoolhouse, an important part of our rich North Country heritage. Give Andy’s new blog a read, and lend a hand in his latest effort if you can.